Paris. Every superlative in the world has been used to describe Paris, and whether they’ve personally traveled or not, I would wager that every person on earth could reel off an impressive list of things to do. Photographs of Paris are instantly recognizable, and if you’re traveling to snap a photo of the wrought iron Eiffel Tower, or gargoyled Notre Dame cathedral, let’s be honest, that’s not exactly new. Paris is, after-all, the most visited city in Europe, and many, many, people have walked the lamplit bridges of the Seine before you. But despite being one of the most travelled cities in the world, Paris manages to keep a few secrets. Beyond the grandoise palaces and boulevards, and behind the museums and historic facades, are cobbled backstreets with many lesser-known things to do. The following are 10 unusual things to do in Paris. Leave us a comment at the end if you have any to add! 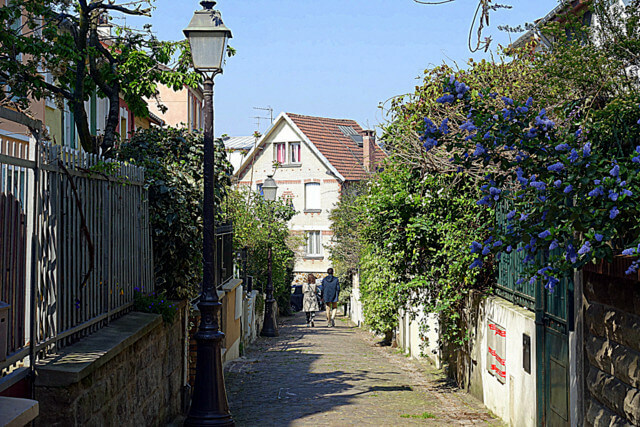 If you typically prefer the countryside over the city, Rue de Mouzaïa is an unusual neighborhood that feels like you’ve stepped back in time to a French countryside village. As you walk through pedestrian streets and leafy lanes, you’ll discover quaint historic houses where quarrymen lived in the 19th century. The homes are full of character, with red, white and blue brick fronts, and facades and fences overgrown with vines and hedges. The streets here are akin to a maze, so it’s very difficult to explore the neighborhood to a set itinerary. But the Rue de Mouzaïa is the main street in the district, so start here, and stroll around the streets freely. The cobblestone footpaths burst to life with flowers and plants, and the homes are full of character. Pro tip: Give the locals a wave as you walk past, they’re very friendly and will more often than not wave back at you. If you enjoy pop culture, games and drinks, one of the most unusual things to do in Paris is a bar called Le Dernier. Inspired by imaginary cultures, this has become an iconic place to geek out. The bar is a place to encounter and exchange ideas, create, and inspire, and throughout the 3 floors, you’re transported into a world of cult movies like the Matrix, and literary worlds from Jules Verne and Isaac Asimov. Like in any other bar you can order drink and food. Though unlike every other bar the menu is themed to represent the geek universe; you can drink a Poison Ivy or a Super Saiyan, or devour a Machete Chicken or a Mario Bruschetta. Grab a seat and help yourself to one of the books in their library (full of science fiction, iconic comics, and there’s also a range of classic board games). There are arcade tables with classic games, action figures, and the possibility of time travel in a TARDIS. 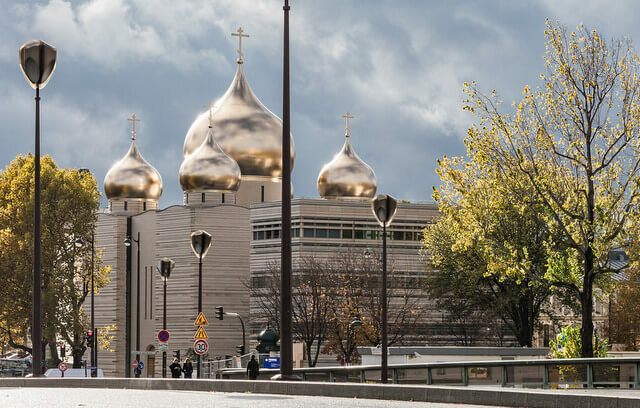 The most important Russian Orthodox Church in Paris, Cathedrale de la Sainte Trinité is an eye catching landmark that not many tourists pay attention to. But with its gold onion domes and Orthadox crosses, the architecture is very different to most other Paris buildings. On the left bank of the Seine, about a 10 minute walk from the Eiffel Tower, keep an eye out as you make your way down Avenue Rapp for the Cathedral’s silver-gold domes shining against the pale Paris sky. The Cathedral is a relatively new building, but at the same time reminiscent of traditional Russian churches. A modern concrete complex, the domes of the cathedral are covered in 90,000 leaves of gold, the highest standing at around 36 meters, so the architecture is definitely worth admiring. It’s free to head inside, and definitely worth admiring the rather showy interiors. 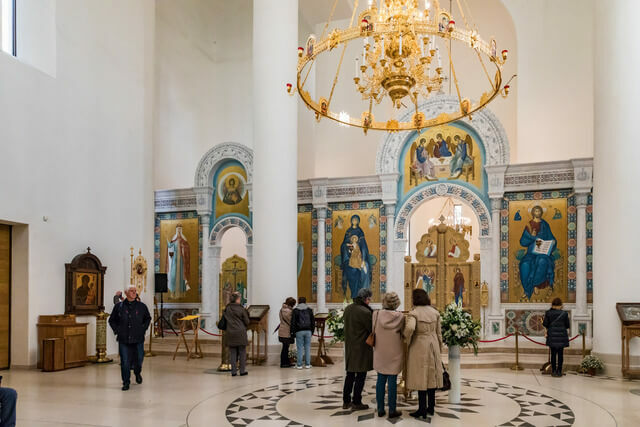 There’s an education / cultural center detailing the history of Russia, and you can watch as followers of the faith go about their prayers, and take communion; they’re unperturbed by tourists and onlookers. Paris isn’t exactly known as a budding tea mecca, but if you’re looking for a cafe serving fine tea, one of the city’s best kept secrets is the George Cannon Tea Salon. For over thirty years Olivier Scala has traveled the principal tea plantations of the world to hand select the highest quality flavors of tea to bring back to Paris. The desire was to initiate people to different tea cultures as well as to the benefits of tea consumption. He has traveled so extensively that there are now quite literally thousands of flavors on offer in the George Cannon Salon. When you enter the shop you’ll notice shelves that are lined with symmetrically placed tins, with strong teas with character from Yunnan (China), light, floral note, first flush teas from Darjeeling (India), or Gyokuro, a very refined tea from Japan. You can shop for tea, or you can dine in. 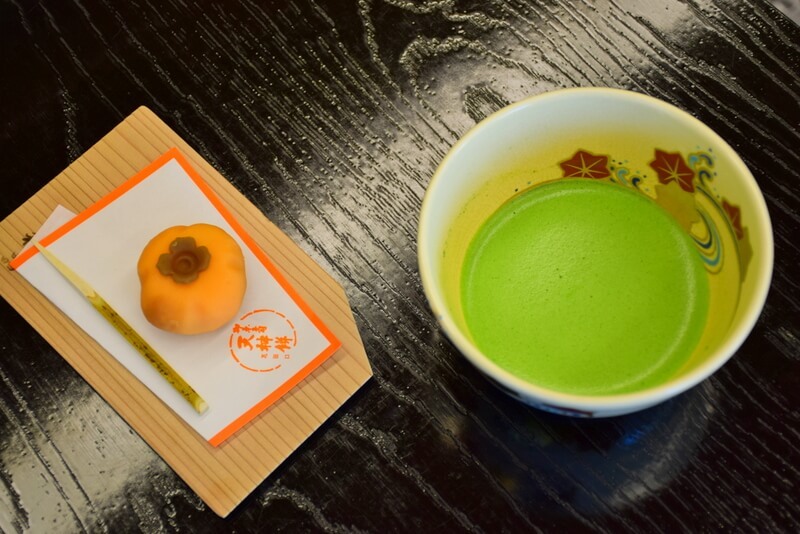 Inspired by ancient tea houses there is a tearoom in the back of the shop where you can enjoy an amazing blend of tastes, and they serve Asian inspired lunch dishes, as well as the option to partake in an authentic Japanese tea ceremony. Hidden in a charming backstreet of the Latin Quarter, Studio Galande is a small art house cinema that screens classic movies for cinephiles and movie buffs. They screen both classic and current films, but every Friday and Saturday night at 10 PM they show the Rocky Horror Picture Show. And cult fans have been turning up for the past 30 years! If you’ve never seen the film, it’s a 1975 musical science-fiction horror-comedy starring Tim Curry, Susan Sarandon, and Barry Bostwick. An engaged couple’s car breaks down during a storm, and they run to a nearby castle that is occupied by the likes of a mad scientist and an alien transvestite. People dress up, sing along, and get up from their seats to dance when the ‘Time Warp’ comes on. Tickets are €11, though have to be bought at the counter. It’s a small cinema, so definitely worth buying tickets in advance. Most people who want dinner and a show in Paris head to the Moulin Rouge, but there’s perhaps an even more unique place called Bel Canto. This is an elegant fine dining restaurant, where your waiters and waitresses serenade you! A quartet of lyric singers accompanied by a piano supports the ballet of waiters. Though the wait staff here are no amateurs; all servers are trained (or training) as professional opera singers, and the close proximity of their voices at your table is sensational. 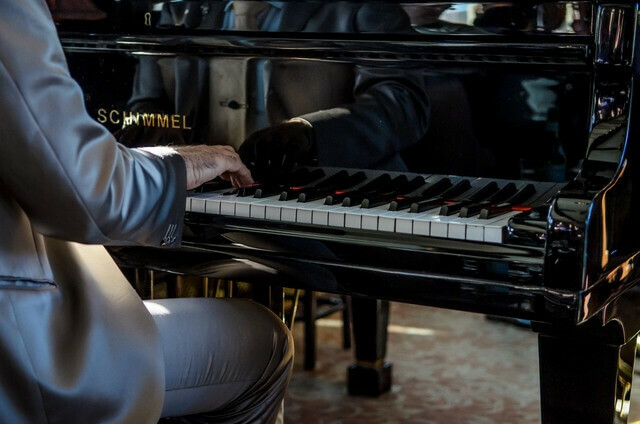 Every fifteen minutes or so, one, two or the four of them will perform parts of renowned tunes such as in Carmen, Don Giovanni, Tosca, The Magic Flute, or La Bohème. Even if you don’t recognize the names, you’ll definitely recognize the tune. The idea for Bel Canto started in the 1960s. The owners wanted to create something that offered the thrill of the live opera, but in a relaxed atmosphere. The experience gets 5 stars from both opera fans, and avid food critics; they’ve done a fabulous job at creating an experience where both dinner and the show work in harmony. 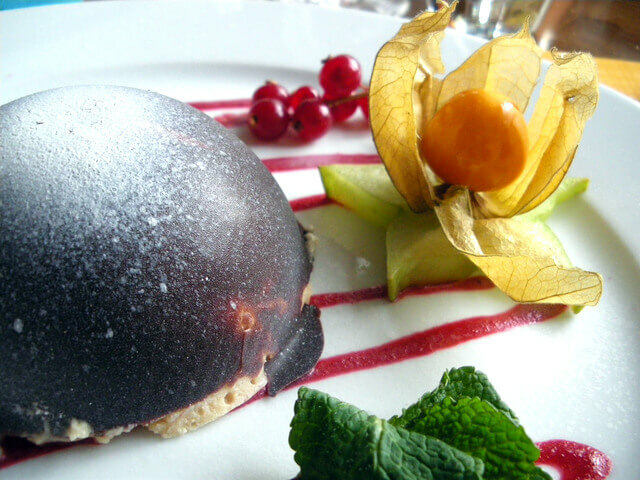 Dinner is a 3 course a la carte menu (starts from €85 per person) that includes starters like King prawns, mains of fish or veal fillet, and an assortment of cheeses and chocolate cakes for dessert. If you’re looking for quirky museums, you’ll definitely get goosebumps as you’re visiting Le Musée des Vampires. The world’s only Vampire museum, this is a private collection owned by a self proclaimed ‘vampirologist’. It’s a really spooky exhibit in a tightly crammed room of items that range from mummified cats to ‘anti-vampire protection kits’ that were actually used in the 19th century to ward off vampires. There’s also a cross bow and arrow, dusty antique books about mythology, and Dracula toys, as well as a range of items that study the place of vampires in modern culture. Of course, entry to the museum is tucked away in a dark, dubious alley, and the display room leads into a gothic style garden that feels like it was designed to be a cemetery. It’s open daily, but because it’s a privately owned collection you do need to make an appointment by calling the phone number listed (+33 1 43 62 80 76). A great way to take a break from traditional Paris, there’s a neighborhood called La Chapelle, or ‘Little Sri Lanka’, just on the cusp of the 10th arrondissement where you’ll find a little bit of Sri Lanka in Paris. France is home to over 100,000 Sri Lankan and South Indian Tamil families, who fled from civil war in the 80s. Most immigrants set up in this neighborhood, and the effect today is a cultural landscape that makes you feel as though you’ve traveled outside of Paris. 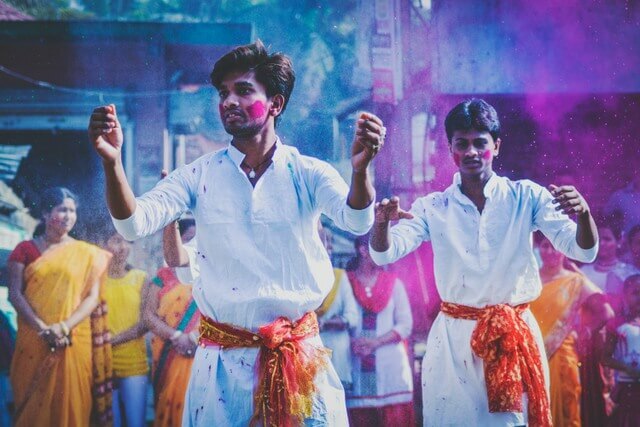 The whole neighborhood bursts with color, culture, and activity (especially during festivals) and you can find authentic Hindu temples, great restaurants serving ethnic cuisine (you can get an authentic curry for less than €10), or coffee shops specializing in chai tea. A walk through the streets overwhelms your senses; the exotic smell of tea, the brightly colored textiles while window shopping for saris, and the sound of the Tamil language bouncing around the street. An easy day trip from Paris, Auvers-sur-Oise is a country village barely 30 km from the city. It’s like stepping back in time to see a town that still resembles old world France, and, for those familiar with the works of one of the world’s most famous artists, it’s like stepping into a painting by Vincent Van Gogh. With with sunlit wheat fields, and charming country homes and gardens, Vincent Van Gogh actually retreated here for the last 2 months of his life to escape the city. It’s a little over an hour to get there, and trains run return from Paris city every day. 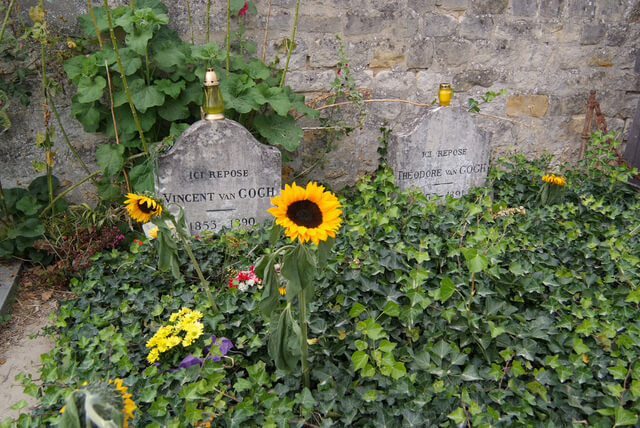 You can visit the room where Van Gogh shot himself at the Auberge Ravoux (for €6 admission), and you can visit the cemetery where he is buried. While you can visit the town all year round, the Auberge Ravoux is only open from March-October, Wednesday through Sunday. You can really feel his sadness and isolation echo throughout the tiny room. Dating back to 1899 and shrouded in decaying grandeur, Cimetière des Chiens et Autres Animaux Domestiques is the oldest pet cemetery in the world (the literal translation is ‘the cemetery of dogs and other pets’). 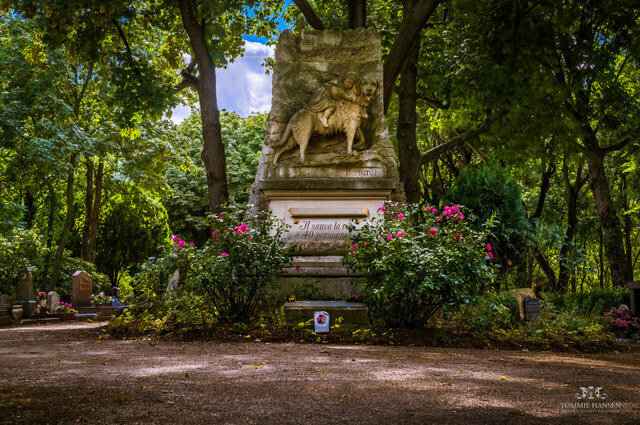 It’s the resting place of beloved pets from all over Paris, and as you explore the massive maze of moss covered gravestones, urns and statues, you’ll find dedications to cats, dogs, horses, sheep, and at least one monkey. There’s even a lion! There are over 40,000 pets buried here now, and reading the inscriptions and stories on some of the headstones is most interesting. There’s a monument to a heroic Saint Bernard called Barry who saved the lives of 40 people caught in blizzards in 1800 and 1812, as well as the grave for Hollywood’s most famous acting dog, Rin Tin Tin. It’s helpful if you take a map of the Cemetery. A paper copy is included with the entry price. If you’re looking for unusual things to do in Paris, whether in summer, in winter, or with kids, check out this list of non tourist, unique must do experiences. I had absolutely no idea Sri Lankan culture was so ingrained in Paris Meg. Neat! Cool how different groups of folks become entrenched all over the globe. We see this quite a bit in NJ and NYC, back home. Fabulous post as always! Definitely something that’s not super widely known, but really cool right! I agree that it’s so wonderful to see cities embracing their multiculturalism – the world needs more of it! Amazing! That is really unusual for Paris! Amazing ideas to spend some time! These are great little diversions! You’re welcome Roy, glad you enjoyed the post! Lol yes definitely with the GPS for Rue de Mouzaïa :D! Thanks for sharing about the Sri Lankan/Tamil populations there. Nice shout out. You’re welcome Anuradha, one of the most interesting parts of Paris! Next time I visit, I’ll have to check it out! Paris fortunate to have been there several times. Fabulous David! What are your favorite places? It is not particularly well-known, and many Parisians have never even been there, but Sainte-Chapelle is hands down the most beautiful church in Paris. 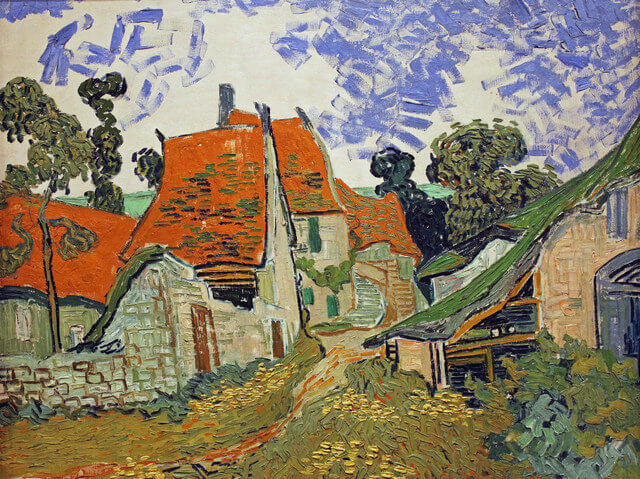 Love the idea of the day trip to Auvers-sur-Oise, so interesting. You can also day trip out to Provins that’s a little medieval village just an hour away, or St-Denis Basilica that is north of the city and has a stunningly beautiful gothic-style pilgrimage site and burial place for dozens of kings and queens. I love exploring the surrounds of Paris, usually a lot less touristy. I love that there are still unique things to do in even the most famous city in the world. Great list. The Vampire museum sounds interesting. Surprised at how diverse Paris sounds actually, it sounds like cultural influences from Sri Lanka, Japan (the tearoom), Russia … I actually wouldn’t have guessed. One of my favorite X things to do in posts I’ve read for Paris, thanks. We loved taking a local cooking class while we were in Paris, it really felt like we were getting off the tourist trail and in with local life. Was a lot of fun and can highly recommend. We will be going to Moulan Rouge on our Paris trip next month, but I do like the sound of the Opera restaurant too, we need to eat for 5 nights, so will have to make a reservation for this too. Wonderful, appreciate the suggestion. We did the Moulin Rouge as well and it was a really fabulous night. 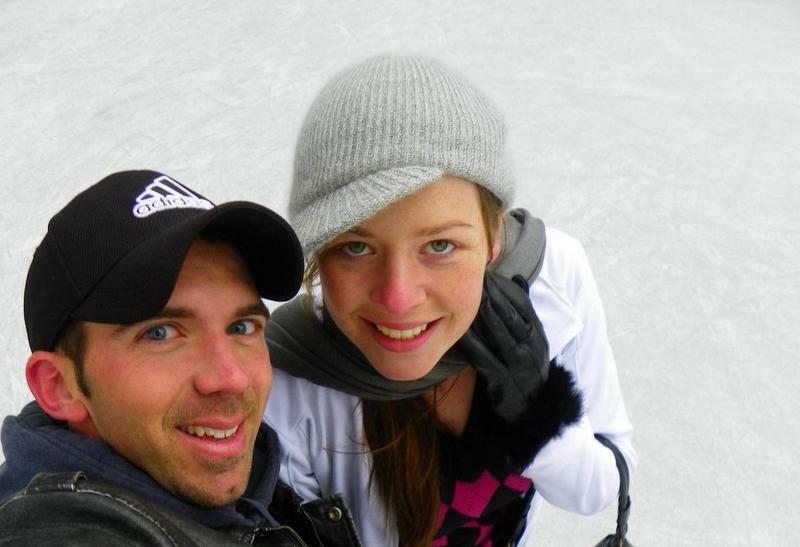 Probably one of those tourist experiences that is worth doing regardless! But definitely check out Bel Canto though if you’re looking for dinner experiences for the other nights of your trip. It’s a great night out! Haha I can recite the Rocky Horror Picture Show from beginning to end, so it wouldn’t even matter for me that I can’t understand French :D Very cool, I’ve never heard of a mass ongoing showing like that … will have to make it to Paris! Sounds like the perfect Paris experience for you! We do love Paris. 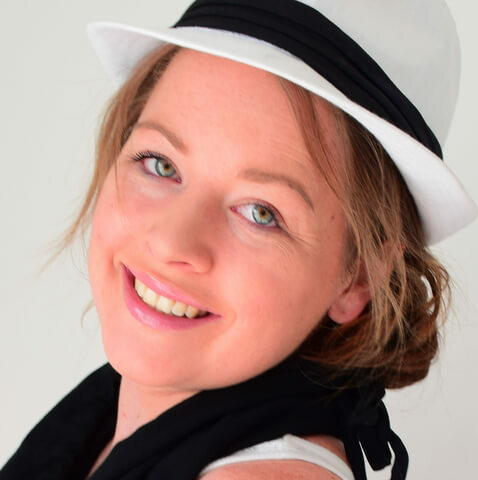 Fortunate to live in the UK, so it’s a very easy and relatively cheap weekend trip, there’s always something new to do and see no matter how many times you visit, I’m sure local Parisians have hardly managed to see everything either. I do love Rue de Mouzaïa and agree that it makes a charming addition for #1 on your list. I’m always so jealous of those who live in Europe and the UK for the city break opportunities (I’m in Australia so we’re at least 8 hours away from the closet Asian country). It’s fabulous that you’ve been able to find a destination that you love and keep returning to explore the city more in depth on every trip. You really could spend a lifetime and still have not finished exploring!